While not the best dog food by a long shot, Solimo does offer some of the best dog food available in this price range. Their commitment to no fillers like wheat and corn gives them a leg up on other budget brands such as Purina One, so if you’re already using a cheaper dog food I would suggest making the switch to Solimo. 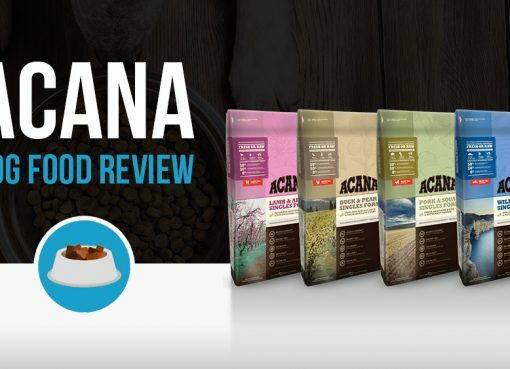 We recently reviewed Amazon’s new Wag dog food brand which launched in the summer of 2018. 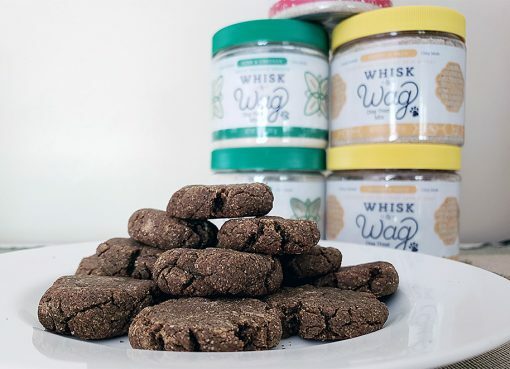 Wag was a new endeavor for Amazon and the dog food is only available to Amazon Prime subscribers, but it seems they had larger plans in mind as they have recently launched another dog food brand called “Solimo”. What’s interesting is Solimo isn’t a new brand for the company – Amazon already sells a variety of household products under the Solimo brand name including trash bags, razers, coffee pods, and more. 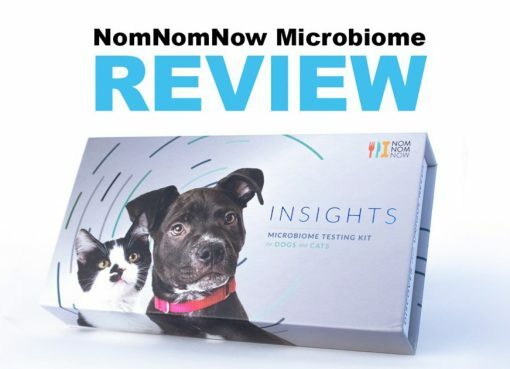 It seems that the Solimo brand is for price-conscious consumers who want decent products at a cheap price, and that’s just what the Solimo dog food seems to be. Unlike Wag dog food, anyone can buy Solimo dog food whether they are a Prime subscriber or not. As stated above, Solimo is a general household brand of Amazon that sells a wide variety of products under their umbrella. The FAQ states that other ingredients are sourced from “a variety of countries around the world” which likely means some materials are coming from China and other low-cost countries. You can buy Solimo in 5, 15, and 30 lb bag sizes and there are two recipes currently available – Chicken & Rice as well as Lamb & Rice. Outside of the meat we don’t know where the ingredients come from, but we can make some assumptions. Given the low cost of this dog food (roughly 40% cheaper than the Wag brand and about the same price as supermarket brands like Purina One) we can assume that this dog food is made with cheaper ingredients from low cost sources. Chicken, Ground Barley, Chicken By-product Meal(Source Of Glucosamine And Chondroitin Sulfate), Grain Sorghum, Animal Fat (Preserved With Mixed Tocopherols), Brewers Rice, Dried Peas, Dried Egg Product, Natural Flavors, Ground Flaxseed, Monocalcium Phosphate, Salt, Potassium Chloride, Fish Oil (Stabilized With Mixed Tocopherols), Inulin (A Prebiotic), Choline Chloride, Vitamin E Supplement, Zinc Sulfate, Ferrous Sulfate, Zinc Oxide, Niacin, Vitamin A Supplement, Copper Sulfate, Biotin, D-calcium Pantothenate, Manganous Oxide, Vitamin B12 Supplement, Thiamine Mononitrate, Pyridoxine Hydrochloride, Menadione Sodium Bisulfite Complex (Source Of Vitamin K Activity), Riboflavin Supplement, Sodium Selenite, Calcium Iodate, Folic Acid, Vitamin D3 Supplement, Cobalt Carbonate..
For a budget dog food these ingredients aren’t terrible, but they aren’t exactly exciting either. Compare this ingredient list to something like our Crave dog food review. You’ll notice a lot less natural ingredients in the Solimo list and much less variety as well. There are certain things in the ingredient list highlighted in red that we don’t like to see, such as generic “Animal Fat” (what kind of animals? ), “Natural Flavors” (this could literally be anything), and “Salt” which isn’t something you want to see listed so high in the list. However, the overall nutrient breakdown is not bad and has sufficient amount of protein as seen below. Solimo dog food is definitely on the cheaper side of dog food, currently about $1.10/lb. Solimo only offers two different products today, Chicken & Rice as well as Lamb & Rice. These dog foods aren’t marketed as “Adult” or “Puppy” dog foods, but they should be fine for any dog big enough to check the kibble chunks. 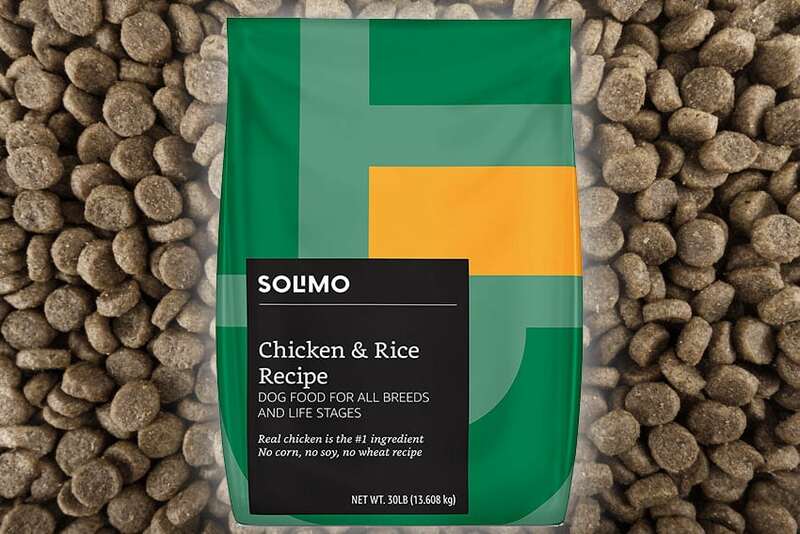 Given that this is more of a budget line of dog foods, I wouldn’t expect Solimo to expand their protein sources outside of Chicken and Lamb anytime soon unless it was for Beef. These are generally the cheapest protein sources for dog foods and there likely isn’t much incentive to expand. Whoever buys Solimo is likely attracted by the price. Solimo is only available through Amazon.com, and that seems unlikely to change given it’s their own brand. YaDoggie Dry Dog Food Review + Coupon!